Home IP Phone Systems What is VoIP? VoIP, Voice over IP, or Voice over Internet Protocol is the transmission of voice over the Internet as digital packets rather than the traditional circuit-committed protocols of the Public Switched Telephone Network (PSTN). VoIP uses real-time protocol (RTP) to help ensure that the packets get delivered in a timely way. A VoIP Phone, Internet Phone, SIP Phone or IP Phone is one that converts voice into digital packets and vice versa to make phone calls over Internet possible. It has built-in IP signaling protocols such as SIP or H.323 that ensure that the voice is routed to the right destination over the net. On the media side the IP Phone uses audio or/and video codecs such as G.711 or/and H.261 respectively over RTP. The IP phones come with several value added services like voicemail, e-mail, call number blocking etc. A VoIP phone system converts traditional analog phone technology into digital packets, allowing your voice to be sent as data through the internet. If you dial a number that belongs to a regular phone line, the signal will be converted to a traditional phone signal. If you dial another VoIP phone, you will talk with each other via the internet. 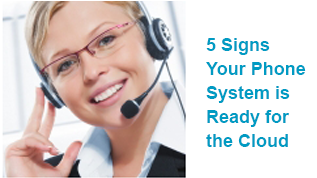 There are many advantage to a VoIP phone system. For example, Evolve IP’s phone system frees your business from managing carriers, hardware and vendors by providing an enterprise quality hosted PBX with advanced unified communications features and world-class voice quality to any user, in any location, for a low, predictable monthly fee. CTI or Computer Telephony Integration is the linking of the computer in the automatic call distributer (ACD) system to the computer which houses the company’s database to permit faster and more efficient handling of calls. Screen pop is a function of CTI which can direct the data screen of the calling person’s account to the terminal of the agent as the call is being routed there, saving the agent from having to identify the caller’s account number, key it in, and wait for computer response. Also permits transfer of data screens to a second agent when a call is transferred and many other capabilities impossible with only one or the other system independently. POE or Power over Ethernet is a system to transmit electrical power over a standard twisted pair Ethernet cable.